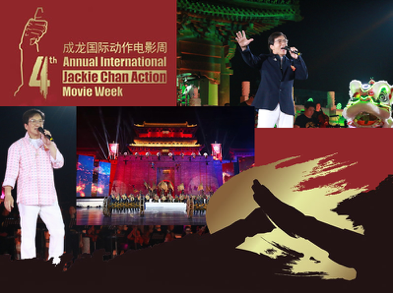 It’s been a few years since Jackie last held an international gathering with his lovely fans. 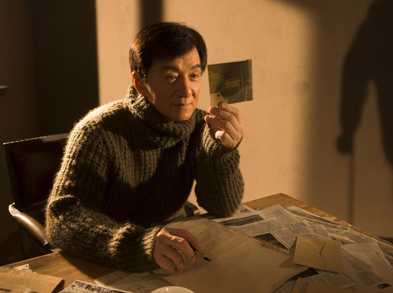 This year, Jackie has the “intention” to hold a fan gathering. 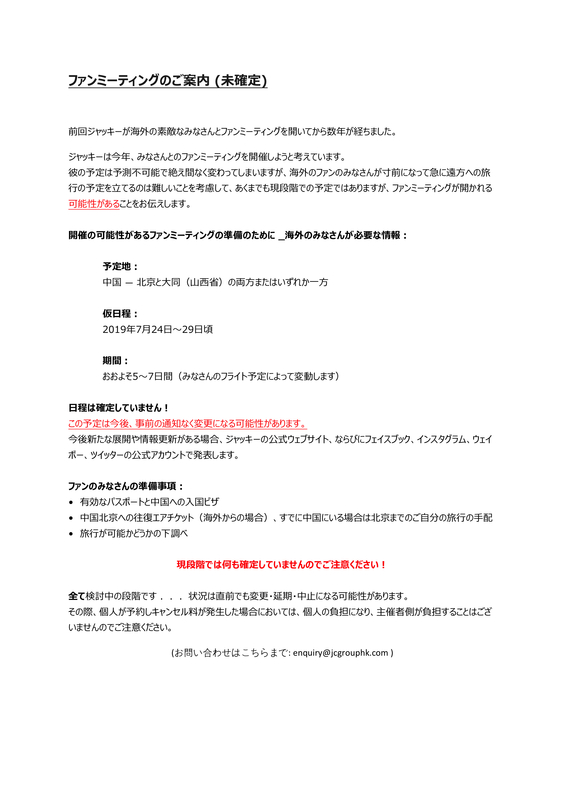 However, because of his unpredictable and ever-changing schedule, and we understand the difficulties for fans overseas to plan a long-distance trip in short notice, at this moment in time we’d just like to let fans know that there might be a possibility of a fan gathering between July 24-29, 2019 (plus or minus a couple of days before and after the dates to allow flexibility). No dates have been confirmed! This idea may change at any point in time without prior notice. If there are any further developments or updates, they will be announced here on Jackie’s Official Website, Facebook page, Instagram, Weibo and Twitter account. Allow approximately 5-7 days for the fan gathering (taking into account your travel time to/from China). Please be aware that nothing has been confirmed yet! EVERYTHING is still in discussion… things may change (for good or for worse) at the last minute. Congratulations to the following participants for being the first 200 to correctly answer the 2019 Chinese New Year Quiz! Winners will be contacted by email very soon! Please respond at your soonest possible convenience so we can send out your lucky “lai si” without delay..
A big “thank you” to all the participants for taking part in this fun quiz! We hope you all enjoyed it. What movie is this shot from? 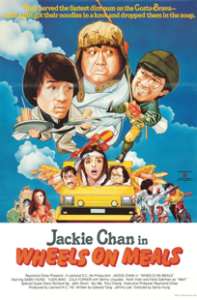 Jackie Chan, Sammo Hung and which other Seven Little Fortunes member starred in ‘Wheels on Meals’? In ‘Little Big Soldier’, Jackie was the Big Soldier. Who played the little general? In 2015, I released the Chinese version of my memoir. And recently, the English version was finally released. What is the name of my book? 这本书的名字是什么？ A. Who Am I? Where was the 4th Annual International Jackie Chan Action Movie Week held in 2018? Which movie was released in 1999? Jackie released an album this year, dedicated to his friends, family, JC stunt team, parents. What is the name of the album?大哥最近推出了新的国语专辑, 献给他的兄弟, 儿子, 父亲, 爱人, 朋友们. Which actor hasn’t worked with Jackie in a movie yet? Do you recognize which movie this stunt scene this is from? What are the names of Jackie’s loyal furry friends? 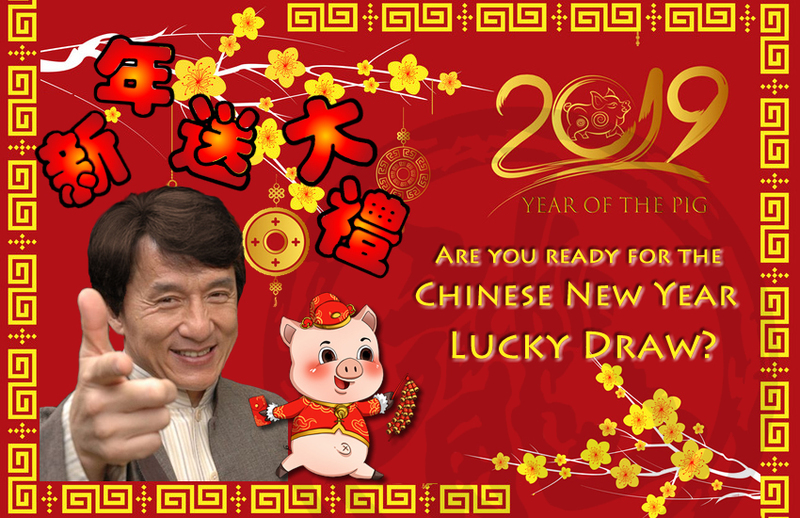 Chinese New Year Giveaway – 新年送大礼! On February 5, 2019, we’ll be welcoming the year of the Pig! Like previous years, Jackie will be giving away “lai si” (the Chinese tradition of lucky red pockets) to celebrate this festive time! This year, he’ll be giving away 200 lucky pockets. 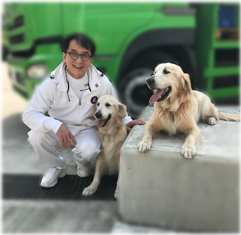 Jackie wholeheartedly appreciates the unconditional love and support that he receives from fans all over the world. Without YOU (his loving fans), Jackie wouldn’t be where he is today. Giving red pockets during the Lunar New Year is to give good luck, good health, and happiness to the younger generation. And Jackie hopes to give this to you too! If you’d like a chance to win 1 of 200 lucky red pockets, we’ve got another fun quiz for you to participate. Below are 10 multiple choice questions; each question has 5 possible answers for you to choose. (So even if you don’t know the answer, you still have a 20% chance of guessing the right one.) Are you ready? 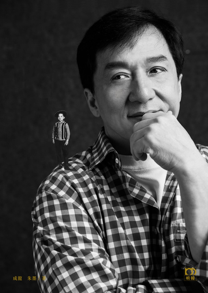 Let’s see how well you know Jackie Chan! The first correct 200 answers will receive a JC lucky red packet. The first 200 correct answers will receive a lucky red packet. The competition ends on Monday February 11, 2019, and winners will be announced on Wednesday February 13, 2019. Just like our previous giveaways, lucky winners will be notified by email so make sure your email address is correct and working! An announcement will also be made on Jackie’s Official Website and Facebook page. 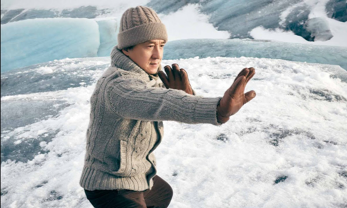 Test your knowledge and see how well you know Jackie Chan. Be quick and start emailing your answers today! Only one entry per person will be accepted. Multiple entries from the same person will automatically be eliminated. The JC Group reserves the right to the final decision on the giveaway competition. In 2015, Jackie released the Chinese version of his book. And recently, the English version was finally released. What is the name of his book? 大哥最近推出了新的国语专辑, 献给他的兄弟, 儿子, 父亲, 爱人, 朋友们. 这张新专辑叫什么名字?